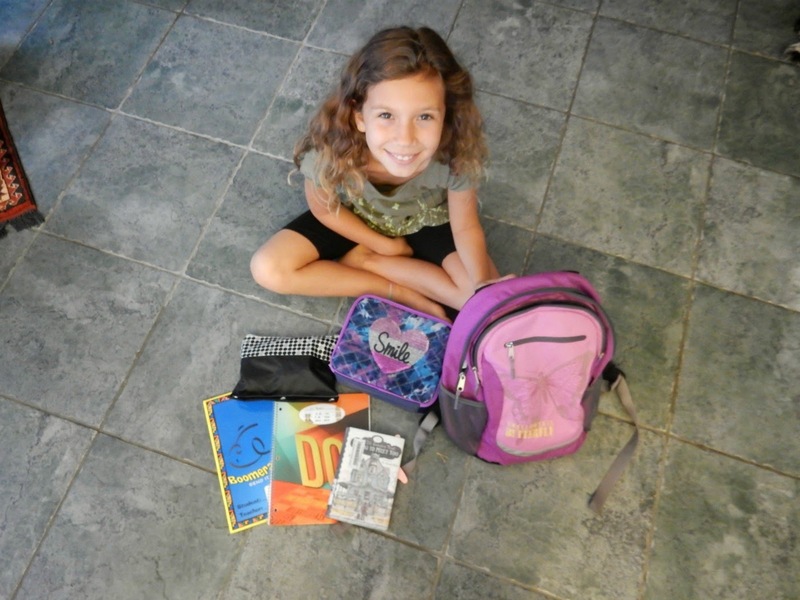 As children in the Northern Hemisphere have almost all gone back to school, the inevitable discussion about school bags and what our children should be carrying on a daily basis on their back is back on the agenda. 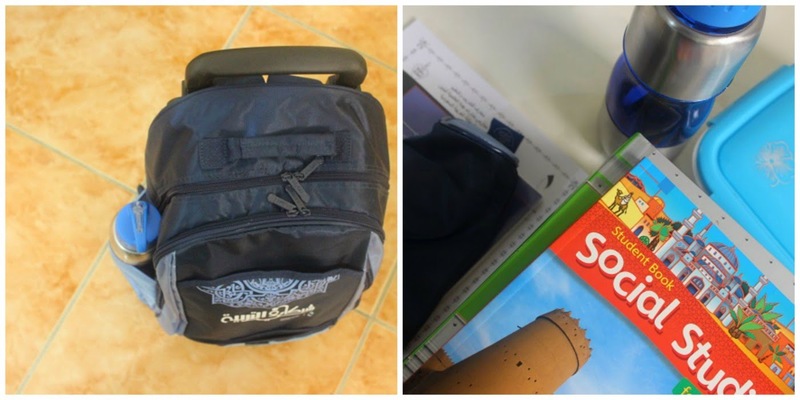 I have asked a few fellow bloggers to share their children's school bags with us, focusing on the content and the weight of the bags. 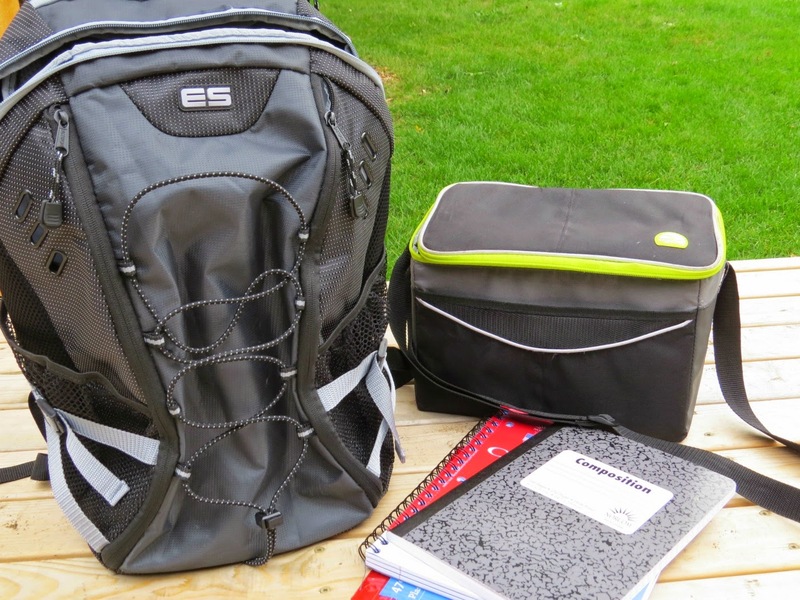 The notable differences you will find below are that school kids in the USA tend to take their lunch with them, making the bag heavier in the morning. But the amount of books they carry is very limited. School kids in Europe do not all have lockers to leave things in (none in France, for example) and so have to carry everything they need for that day (books etc). Also, bare in mind that these pictures were taken in the beginning of the school year. Some items will only get heavier as the year advances as folders fill with loose sheets! A folder for print-outs and music sheets. Music class: flute and a notebook. Finnish class: Text book, 2 exercise books (one for grammar, one for handwriting). A note book for writing. French: A note book with a poem to be learned over the weekend. 13 years old: A folder for print outs. English class: Text book, exercise book and a notebook. 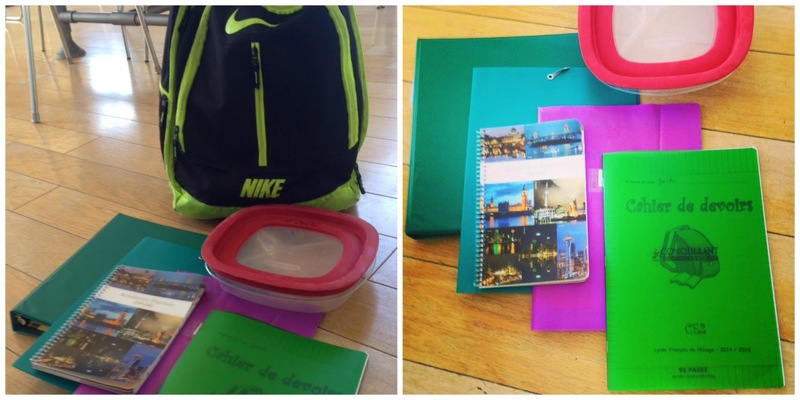 French class: A combined text/exercise book, a notebook and a book that they are studying in class (Anne Frank). 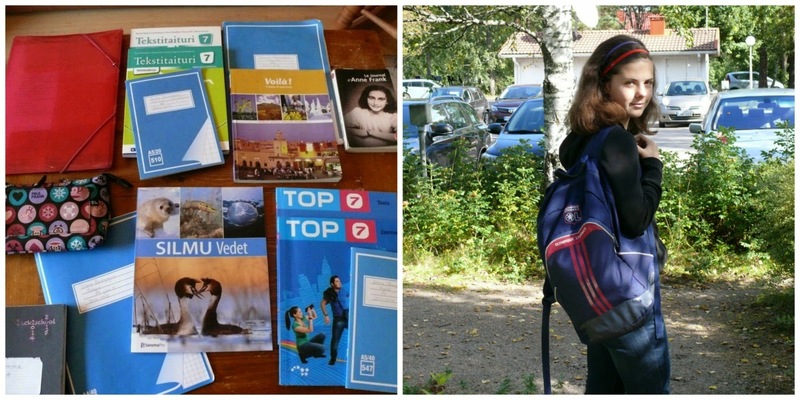 Finnish class: Text book, exercise book and a notebook. Biology class: Textbook and a notebook. What about your children? How much do they carry to school everyday? 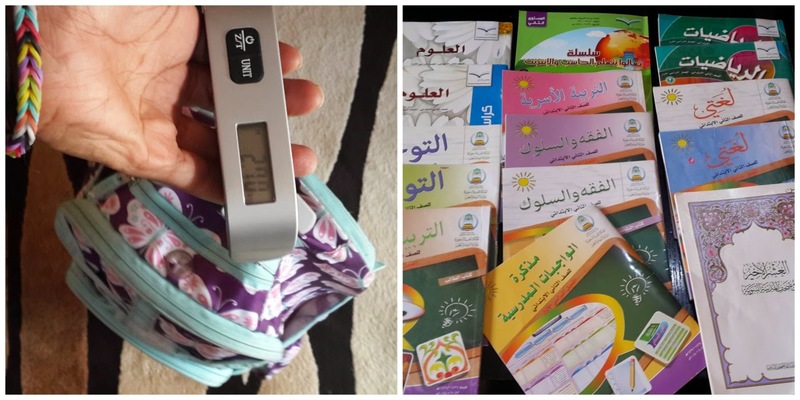 Wow, kids in Saudi Arabia need to be strong:). This is the coolest post! 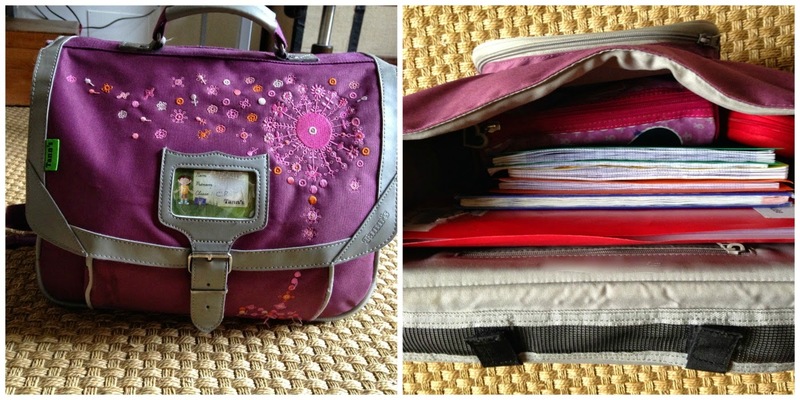 I loved seeing what other backpacks and their contents look like! 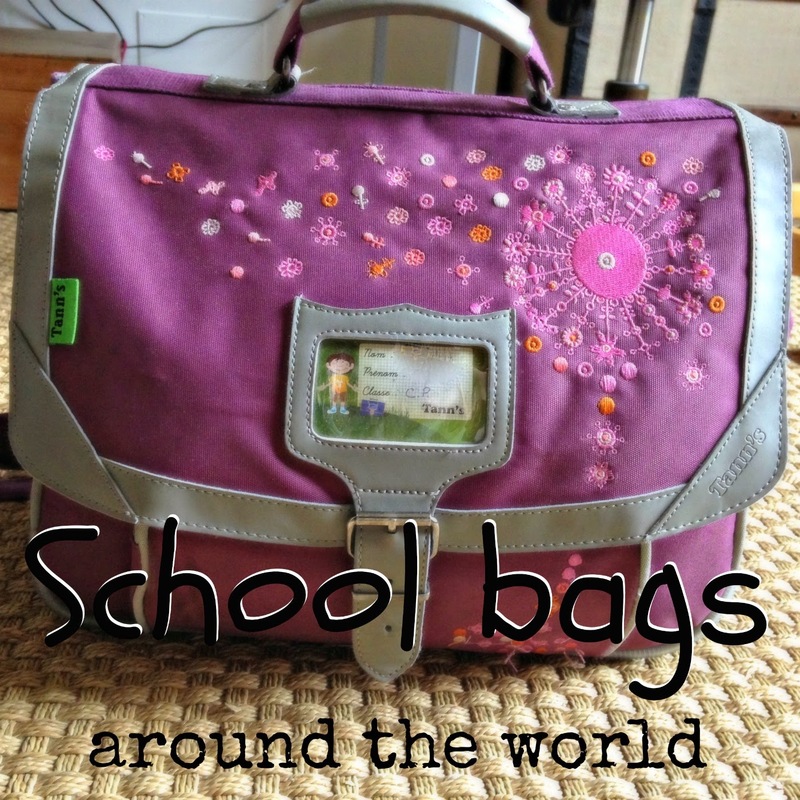 What a great compilation - it was fascinating to see what school bags are like in different countries around the world.